We proudly present our team of contributors, who work with great care and diligence on each and every issue of the IEEE Canadian Review. To date, there have been nine Editors-in-Chief appointed to serve over this publication's nearly 30-year history. A list of past Editors-in-Chief is available from this link. Mr. Van-Lane has worked in the field of professional communication for more than 25 years. In the early '90s he was a features writer and the engineering editor for Plant Engineering and Maintenance magazine, published 10 times/year with a circulation of 30,000. His writing profiled new manufacturing trends, environmental programs and innovative management techniques, for which he received two prestigious Kenneth R. Wilson Awards from the Canadian Business Press. Mr. Van-Lane was also responsible for writing/editing the magazine's industry news and case history departments. During his tenure, requests for reprints and reader interest was the highest ever for his areas, as determined by regular outside auditing. In 1995, Mr. Van-Lane founded Communication Matters, a public relations and publishing consultancy with a base of primarily technology and industry clients. Areas of service include developing strategies and plans for meeting organizational objectives, for both external and internal audiences. Projects include full service custom publication production/ distribution management, marketing collaterals and media relations campaigns. Bruce Van-Lane's training in journalism and communications includes continuing education courses taken at Ryerson University and the University of Toronto, respectively. He received the B.A.Sc. degree from the University of Toronto (1985). Mr. Van-Lane is a member of the Canadian Science Writers' Association and Professional Engineers Ontario. He has previously been very active in Toastmasters International, including Publicity Chair of the Canada Day Speech Contest. He was the first to promote Club-level participation in local municipal Canada Day celebrations as a membership development strategy. Prime interests: RF front-end design for wireless communication, power amplifier design, broadband matching networks, education outreach, radio astronomy, leadership, public speaking, social innovations. Tushar Sharma received his Bachelor's from GGSIPU, Delhi in electronics and communication engineering. He is currently pursuing his doctoral studies from the University of Calgary, Alberta in the area of broadband high efficiency wireless transmitters design using advanced continuous-mode power amplifiers. Mr. Tushar Sharma started his career in scientific research during his undergraduate studies and then moved to Canada for his doctoral studies. He is currently working on the design of power amplifiers for wireless communication. He is the recipient of Alberta Innovate Technology Futures (AITF) scholarship and Alberta Graduate Citizenship award. As the founder and president of Astronomy Teacher Training Institute (ATTI), he has been instrumental in fostering global education outreach model. He received an international recognition by National Aeronautics Space Administration (NASA), the US National Science Foundation (NSF), the United Nations IHY, International Space Weather Initiative, Stanford Solar Center and Society of Amateur Radio Astronomers for his contribution to education outreach in Amateur Radio Astronomy and science popularization through the use of electronics in solar science. Mr. Tushar Sharma has been volunteering in IEEE since 2009. He served his term as the chair of IEEE Young Professionals for Southern Alberta Section. He was the co-founder of IEEE SIGHT Southern Alberta Section. 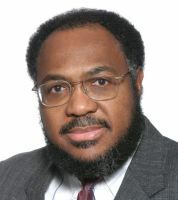 He has served as the chapter chair and founder of IEEE Microwave Transmissions and Technique Society (MTTS), MSIT Student Branch and the chair of IEEE MSIT Student Branch. He was awarded with Dr. J.K Memorial Award for being the Best Chairperson in Delhi section. With his transition from Region-10 to Region-7, he has been a committed member and a dedicated volunteer of IEEE. 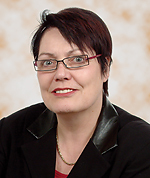 Maike obtained her Staatsexamen, Mathematics, Physics, from the Technical University, Braunschweig, Germany (1979) and her Ph.D., Physics, from the University of Waterloo (1982). Dr. Luiken is Director, Bluewater Technology Access Centre at Lambton College, Sarnia, following six years as Dean, Applied Research and Sustainable Development, and two years as Dean of Technology. She has facilitated and managed a wide variety of applied research projects at the college, comprising small to multi-disciplinary inter-organizational, multi-year research projects spanning multiple disciplines from technology to health. Dr. Luiken spearheaded establishment at Lambton of the first NSERC Industrial Applied Research Chair for Colleges. Prior to joining Lambton College, she was Vice-President Research Alliances, National Capital Institute of Telecommunications (NCIT), Ottawa. At NCIT, Dr. Luiken founded and led the Ottawa Photonics Research Alliance (OPRA), and co-founded the Ottawa Wireless Research Alliance (OWRA), both of which linked industry, academia and government. Dr. Luiken has served on numerous Boards and Committees: Nano Ontario; Sarnia/Lambton Workforce Development Board; Bluewater Sustainability Initiative (Managing Director); Rotary; Southwestern Ontario Bio-products Innovation Network; the Sarnia/Lambton Chamber; and, the Unmanned Systems Canada Boards. A Senior Member of IEEE and a Fellow of the Engineering Institute of Canada, she has been an active IEEE volunteer for more than 17 years. As London Section Chair (2006 to 2011), she organized a series of Sustainability Seminars (about 70) linking the academic community, industry and the public, forging collaborations with local chapters of ISA, PEO and OACETT. 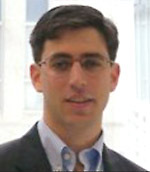 Alexandre Abecassis is a senior partner of the law firm Fasken Martineau. He joined the firm in 2007 to start and develop a patent prosecution practice in the Montreal office. He finds creative, proactive and strategic solutions that maximize the value of his clients innovations. Through almost 15 years in the field, Mr. Abecassis has developed a solid international practice focused mainly on the high-tech sector, with innovations in electronics, software, imaging and telecommunications. He has also developed solid expertise in protecting business methods and innovations in the aerospace industry. Mr. Abecassis additionally counsels clients in the areas of patent portfolio management and IP due diligence. He particularly enjoys managing complex IP portfolios and he is widely recognized for his strong business acumen. 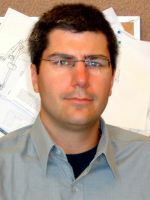 Mr Abecassis graduated from Ecole Polytechnique in 2000 with a bachelor in electrical engineering. He is a registered patent agent in Canada and in the US since 2006. In 2014, Mr. Abecassis graduated from the PLD program of Harvard Business School. Mr. Abecassis is a senior member of the IEEE. 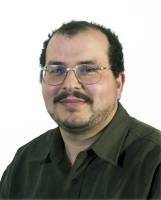 Since 2000, he has been the editor of the popular Newslog column of the IEEE Canadian Review. He is also a member of the Intellectual Property Institute of Canada (IPIC), of the Ordre des ingénieurs du Québec (OIQ), of the American Intellectual Property Law Association (AIPLA), of the International Association for the Protection of Intellectual Property (AIPPI) Canada and of the International Federation of Intellectual Property Attorneys (FICPI). He also holds seats on various boards. Terrance Malkinson is a graduate of the University of Calgary (B. Sc.) and the Southern Alberta Institute of Technology (B. Tech.) He is professionally certified by the Alberta Society of Engineering Technologists (A. Sc.T.). He is an alumnus of numerous professional development programs. Terrance is an elected public member of the University of Calgary Senate, and serves on numerous committees promoting the University to the public, industry, and government. He is a member of the IEEE-USA Editorial Board and writes a monthly column and feature articles on emerging technologies and advanced technology policy. He is a senior member of the IEEE and the Biomedical Engineering Society. He is interested in the application of wilderness experiential adventure education as an enabler of personal growth and professional development of managerial/leadership competencies. Jon Rokne obtained an M. Sc. from the University of Alberta and a Ph. D. from the University of Calgary, both in the area of applied mathematics with a numerical analysis emphasis. Previously he studied Electrical Engineering at the Norwegian Institute of Technology. 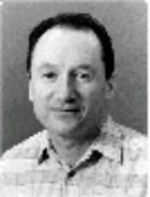 Dr. Rokne is a Professor in the Department of Computer Science at the University of Calgary and he chaired the department from 1989 to 1996. Within the university he been on many university committees. He also organized the installation of the first university FDDI network in Canada and actively worked towards connecting the university to the world wide web (WWW). He spearheaded and managed the acquisition and installation of a top 500 supercomputing facility shared with the Department of Chemistry. A member of IEEE since 1970, Dr. Rokne has volunteered for IEEE in a number of capacities, mainly in the Computer Society and on PSPB. He chaired the Publications Conduct Subcommittee of PSPB for two years dealing with the increasing problem of plagiarism and publications complaints. He has been Vice-President of PSPB and on the IEEE Board of Governors for 2009-2010. In the Computer Society, Dr. Rokne has completed two terms as Vice-President, Publications and three terms on the Board of Governors. As part of the duties of this position he formed committees for appointment and reappointment of EIC's for Computer Society publications. Dario Schor received his B.Sc. and M.Sc. in Computer Engineering from the University of Manitoba in 2008 and 2013 respectively. In the summer of 2013, he attended the Space Studies Program from the International Space University in Strasbourg, France. Dario is a Software Engineer at Magellan Aerospace focusing on flight software and ground tools for small-satellite missions. He has also served as a seasonal instructor for the Computer Science department at the University of Manitoba. Dario is a Member of IEEE and belongs to the Aerospace and Electronic Systems, Computer, and Education societies. He is also registered as a Professional Engineer in Manitoba. In addition to over 45 publications in technical journals and conferences, Dario has also written articles for general audiences that have been published in the Space Times magazine by the American Astronautical Society and in the IEEE Canadian Review including "Parabolic Flight Experiment" and "The Impact of Hands-On Workshops." Habib Hamam graduated from the Technical University of Munich (Germany) as an engineer in information processing in 1992. He earned his Ph.D degree in telecommunications from Université de Rennes 1 jointly with the France Telecom Graduate School of Brittany (ENSTB - France) in 1995. 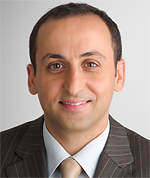 Since 2002, Dr. Hamam is an Associate Professor in electrical engineering at Université de Moncton. His research interests are in optical telecommunications, diffraction, fibre components, optics of the eye, biomedical engineering and E-Learning. He is a registered professional engineer in New-Brunswick and a senior member of IEEE. Samuel Pierre received the B.Eng. degree in civil engineering in 1981 from École Polytechnique de Montréal, Québec, the B.Sc. and M.A.Sc. degrees in mathematics and computer science in 1984 and 1985, respectively, from the UQAM, Montréal, the M.Sc. degree in economics in 1987 from the Université de Montréal, and the Ph.D. degree in Electrical Engineering in 1991 from École Polytechnique de Montréal. From 1987 to 1998, Dr. Pierre was a Professor at the Université du Québec à Trois-Rivières prior to joining the Télé-Université of Québec, an Adjunct Professor at Université Laval, Ste-Foy, Québec, an Invited Professor at the Swiss Federal Institute of Technology, Lausanne, Switzerland, then the Université Paris 7, France. He is currently a Professor of Computer Engineering at École Polytechnique de Montréal where he is Director of the Mobile Computing and Networking Research Laboratory (LARIM) and NSERC/Ericsson Industrial Research Chair in Next-generation Mobile Networking Systems. Dr. Pierre's research interests include wireline and wireless networks, mobile computing, performance evaluation, artificial intelligence, and electronic learning. He is a Fellow of Engineering Institute of Canada, senior member of IEEE, a member of ACM and IEEE Communications Society. He is an Associate Editor of IEEE Communications Letters, and he serves on the editorial board of Telematics and Informatics published by Elsevier Science. Camille-Alain Rabbath obtained his Ph.D. degree from McGill University, Montreal, in 1999. Dr. Rabbath has extensive experience in the modeling and simulation of complex dynamic systems, and in the design and the analysis of feedback control systems in robotics and aerospace. He is an Affiliate Associate Professor at Concordia University, and a Defence Scientist at Defence Research and Development Canada. He is a senior member of IEEE, Control Systems Society. His current research interests include the design and analysis of guidance, navigation and control algorithms for aerospace systems, such as missiles and UAVs, and the development of distributed multi-rate models for simulation and control. Vijay Sood obtained the M.Sc. degree from University of Strathclyde, Glasgow (Scotland) in 1969 and the Ph.D. degree from University of Bradford (UK) in 1977. Dr. Sood is Associate Professor, Faculty of Engineering and Applied Science, at the University of Ontario Institute of Technology (UOIT). Before joining UOIT in 2007, he served for nearly three decades at the Hydro-Quebec research institute (IREQ) in Varennes, Quebec working in the Electrical Equipment Division of IREQ. His research interests include HVDC transmission, forced commutation, analog/numerical simulation techniques and the applications of artificial intelligence techniques to the monitoring, control and protection of power systems. Dr. Sood has more than 70 publications in these areas. From 1984 to 2007, he was an Adjunct Professor in the Department of Electrical and Computer Engineering at Concordia University, Montreal. Dr. Sood is Fellow of IEEE and a Member of the IEE (UK). He is also Fellow of the Engineering Institute of Canada (EIC) and a Registered Professional Engineer in the Province of Quebec. 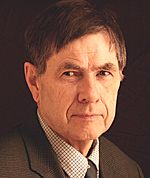 He was Associate Editor, IEEE Canadian Review from 1994 to 1996, and Editor in Chief from 1996 to 2005. Dr. Sood is currently Co-Editor of the Canadian Journal of Electrical and Computer Engineering. Bin Wu graduated from China Textile University in 1978, and received the M.A.Sc and Ph.D degrees in electrical and computer engineering from the University of Toronto in 1989 and 1993, respectively. 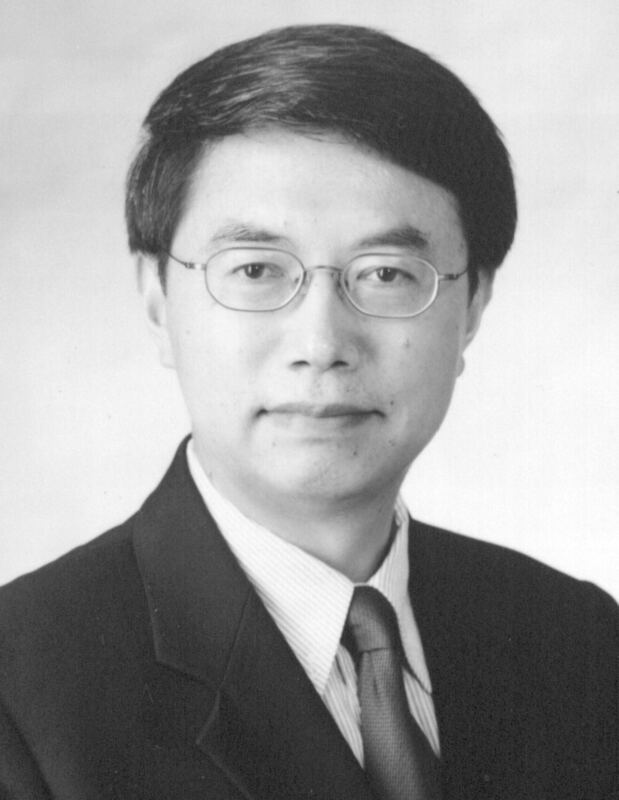 Dr. Wu was a lecturer in the Department of Electrical Engineering at China Textile University from 1978 to 1986, a Visiting Researcher at the University of Toronto from 1986 to 1987, and a Senior Engineer at Rockwell Automation Canada from 1992 to 1993. He joined Ryerson University in 1993, where he is currently a Professor. Dr. Wu has published more than 170 technical papers, authored a John Wiley - IEEE Press book, and holds over 20 issued/pending patents. Dr. Wu is a Fellow of Institute of Electrical and Electronics Engineers (IEEE), Engineering Institute of Canada (EIC), and Canadian Academy of Engineering (CAE). He also serves as an Associate Editor of IEEE Transactions on Power Electronics. His research interests include power electronics, adjustable-speed drives, and renewable energy systems.